Once a private vacation retreat of the Reynolds’ family, Reynolds Plantation is now a playground for the masses as one of the south’s most coveted golf facilities. Surrounding the massive Lake Oconee is Reynolds Plantation, a master golf community envisioned by the Reynolds family to share the splendor, charm and lifestyle of this little piece of heaven. The giant reservoir provides a stunning backdrop for some of the loveliest golf vistas in the south. With public access courses by Nicklaus, Fazio, Cupp and Rees Jones and a Jim Engh with a Pete Dye already on the books for construction devoted to member play, this collection of courses has few rivals anywhere. 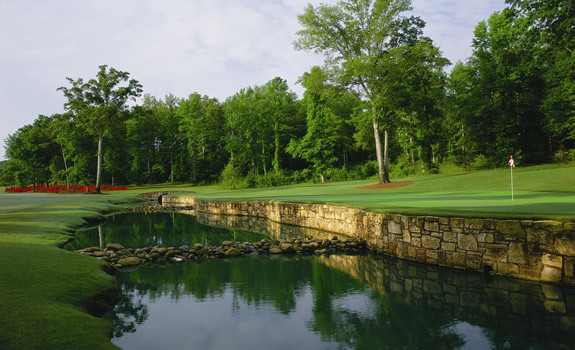 Designed as a grand collection of golf for residents, the public can access Reynolds Plantation’s bevy of courses as guests of the remarkable five-diamond Ritz Carlton Lodge adjacent to the Lake Oconee course. This luxury facility is blessed with 30 acres of stunning lakeside setting and features 251 rooms, six remarkable cottages, a wide array of dining opportunities and a world class spa. Additionally Reynolds Plantation offers the option of houses or cabins available through their real estate arm, targeting larger groups or those seeking the refined charm and solitude of their own personal space. The Academy at Reynolds is a facility with few equals. Teaching professional Charlie King and his staff provide instruction and tips to golfers of all abilities looking for a tweak or a complete overhaul. Taylor Made has made Reynolds home to one of its elite training centers “The Kingdom” that services clients and tour players alike at Lake Oconee. With a state of the art Performance Lab and custom club fitting services, Taylor Made and Reynolds are a dynamite combination for learning and enjoying the great game. The Reynolds family coined their retreat “Linger Longer” a fitting moniker for the paradise the area provides. Now a burgeoning golf community with a vast variety of housing options and home sites available, it is no wonder that Reynolds Plantation is a dream golf community. The US Open Doctor has created a very playable resort style layout adjacent to the Ritz-Carlton complex. Featuring rolling fairways, stark elevation changes and gorgeous water holes, this 2002 design is a centerpiece for hotel guests. 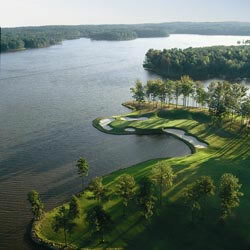 The final hole with its dramatic forced carry over a bay of Lake Oconee is both stunning and memorable. Featuring three nines, Ridge, Bluff and Cove, Fazio’s trademark playability is front and center at The National. 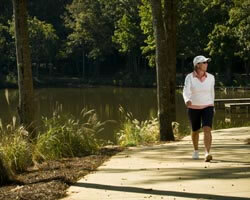 The blend of pine trees, azaleas and shorelines frame these 27 holes giving you a variety of challenges. 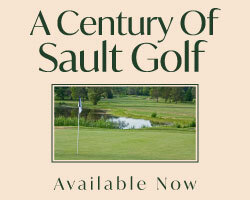 Rolling hills provide beautiful views and risk –reward challenges on many holes. On the Plantation’s southern edge, Nicklaus was blessed with a diverse piece of property at which he sculpted a layout famous for the use of shorelines, but the inland holes many argue, are just as challenging. 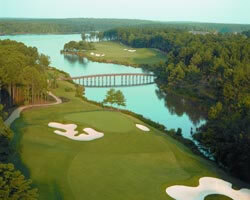 Nine of the final 10 holes play along or over Lake Oconee, presenting some of the most memorable water vistas in the complex. Great Waters is artful and demands your full “A” game. 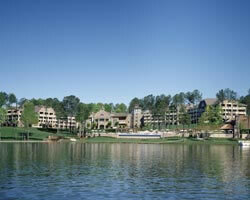 The Landing began the flood of great golf to Lake Oconee. Bob Cupp’s natural design is still heralded as one the states best. The Plantation another natural beauty, features rolling hills and tree-lined fairways characteristic of Cupp’s creativity. Those that know golf know that this can easily be considered as good as any other layouts at Reynold’s.